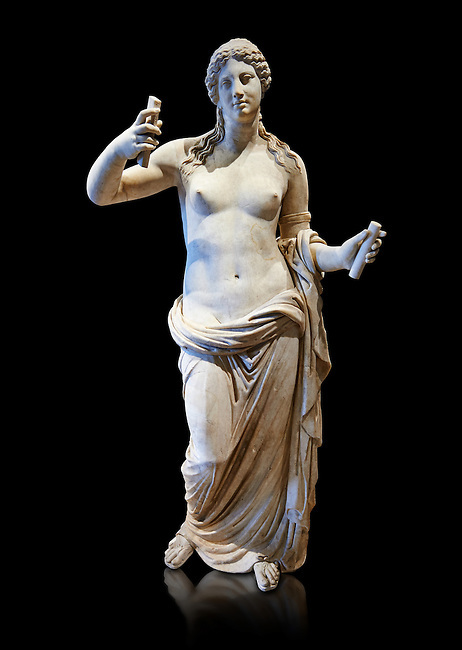 Aphrodite- type known as the Venus of Arles. A Roman statue in marble of the 1st - 2nd century AD in marble from Rome. The statue is a 1.94-metre-high (6.4 ft) and is probably a copy of the Aphrodite of Thespiae a lost bronze sculpture by 4th century BC Greek Athenian sculpture Praxiteles . From the Royal collection Inv MR 366 ( or Ma 437), Louvre Museum, Paris.